Schezwan Noodles are spicy noodles which are perfect to eat as is it or pair with any Chinese style curry. You can make these veg, with chicken, eggs or shrimps as per your liking using this easy recipe. Here is how to make Schezwan Noodles Recipe at home. The spice, the aroma, the flavour and the fire are just some of the adjectives that hit us when we think of Chinese food. Am I right? Us Indians have this affinity for Indo-Chinese cuisine, and how can we not? With delicacies like Schezwan Fried Rice and Gobi Manchurian? We have a nostalgic connection with this cuisine reminding us of those tiny, red coloured fast food centres, ever bustling with food fanatics like us. Here, I have a recipe for the ever favorite Veg Schezwan Noodles that never fail to satisfy our souls and fill our tummies with contentment. 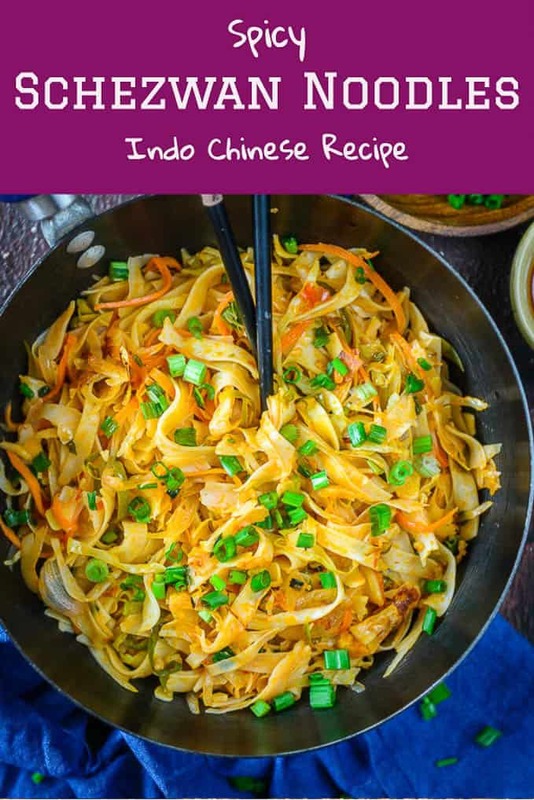 Long, soft noodles tossed and sautéed in spicy sauces and vegetables like peppers, carrot, chillies and more, it is a treat to your taste buds. 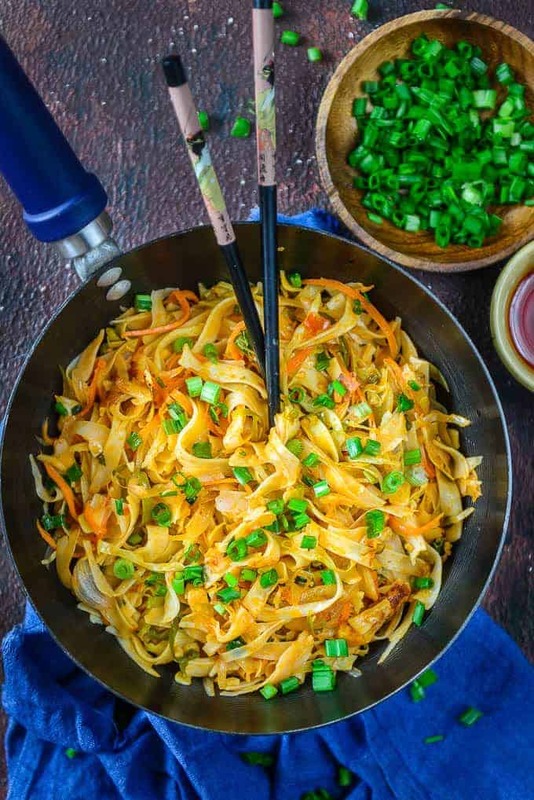 It just takes a few minutes of preparation to make these Schezwan Noodles and while the water is boiling for the noddles, you can do all the prep during that time. The addition of celery gives it a very restaurant like taste and now with this recipe, the same taste can be achieved at home. My home made Schezwan Sauce gives this recipe a fabulous spicy kick. Do try the recipe to make Schezwan Sauce at home and see the difference. In case you have time crunch, you can definitely use store bought sauce. Enjoy a complete Chinese cuisine menu this weekend with this Vegetable Hot and Sour Soup. 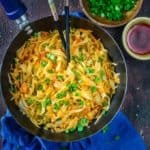 How to make Chicken Schezwan Noodles? To make Chicken Schezwan Noodles, add some boiled and shredded chicken along with the veggies and saute for a few minutes. Keep the remaining recipe same. Both these noodles are dishes from China but they are made in different regions of China is slightly different way. Schezwan is a slightly spicier way of making dishes and they use a lot of red chilli, garlic and peppercorns in their recipes. 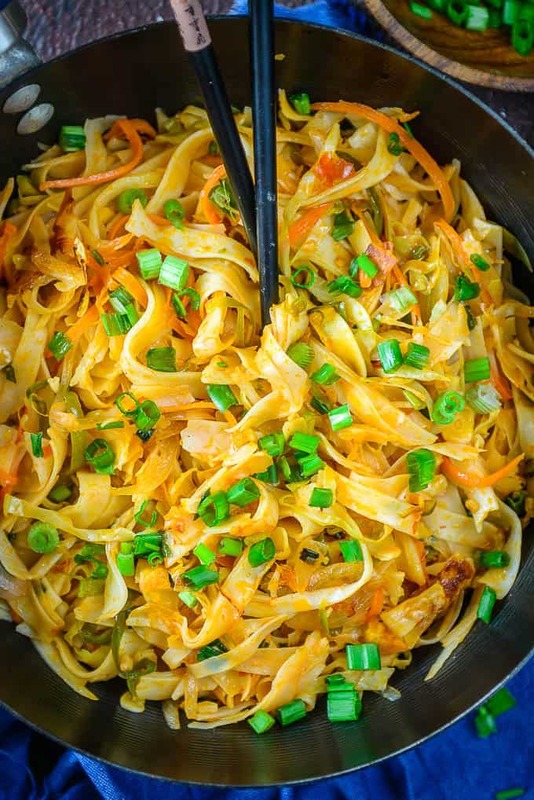 Hakka Noodles are generally milder. When oil becomes hot, add onion and garlic. Saute on high flame for 30 secs. 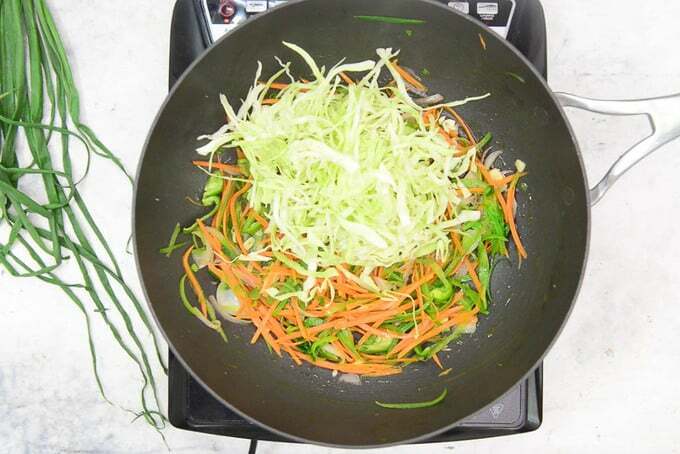 Add celery, capsicum and carrots and saute on high flame for 2 mins. Add cabbage and cook for 2-3 mins. Now add noodles on high flame itself and add schezwan sauce, tomato sauce, vinegar and salt to it. Toss everything very well. Here is how to make Schezwan Sauce at home. 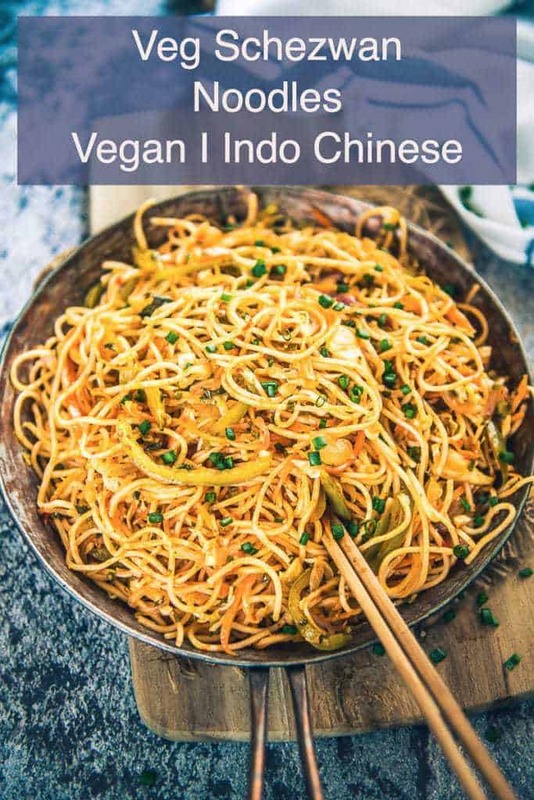 Veg Schezwan Noodles are easy to make at home and they pair well with any Indo Chinese curries. 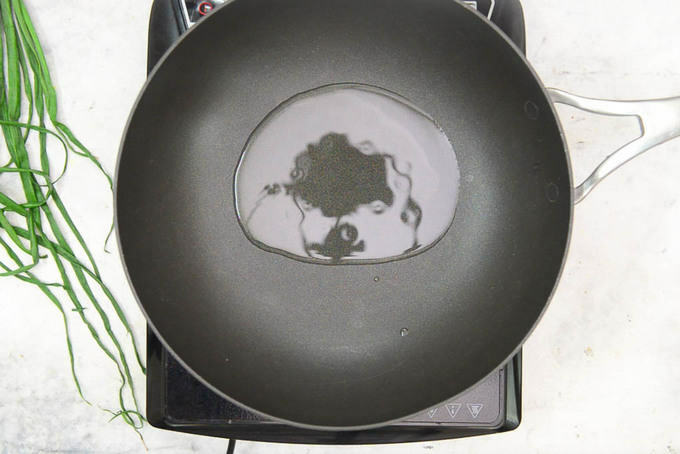 Heat 7 cups of water in a pan and when the water comes to boil, add 3 tsp sesame oil and noodles to it. Cook until the noodles are done. Immediately strain the noodles and put them in cold water. Strain and spread on a platform. Apply 2 tsp of oil all over them so that they doesn't stick together. 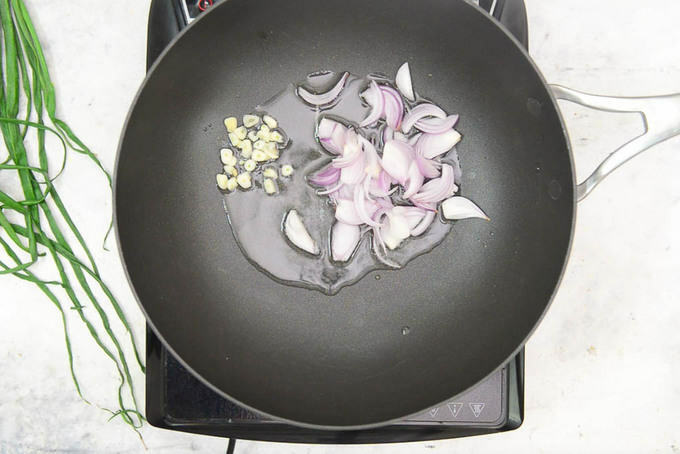 When oil becomes hot, add onion and garlic. Saute on high flame for 30 secs. 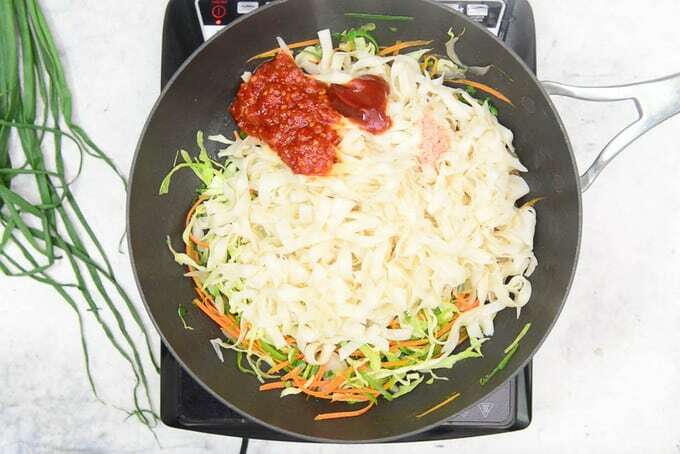 Add noodles on high flame itself and add schezwan sauce, tomato sauce, vinegar and salt to it. You can adjust the quantity of schezwan sauce according to the spiciness required. Noodles should get heated up nicely. 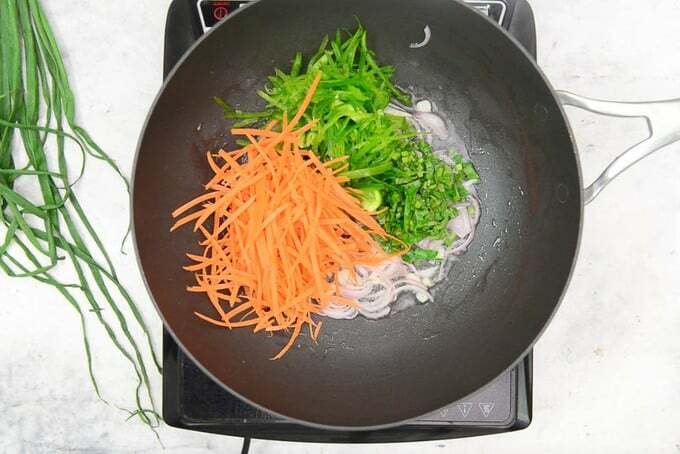 Switch off the flame and add spring onion greens and mix well. You can add some extra chilly sesame oil in the end for extra flavour. Hi Neha loved the recipe! !could u let me know which brand of sesame oil u use…..
Hi, Thnx. I use a local brand called Idhayam. You can use any brand. They are all the same. Just wondering, can I sub the noodles to Hor Fan instead? Instead of the yellow noodles, I would like to try it on other varieties.